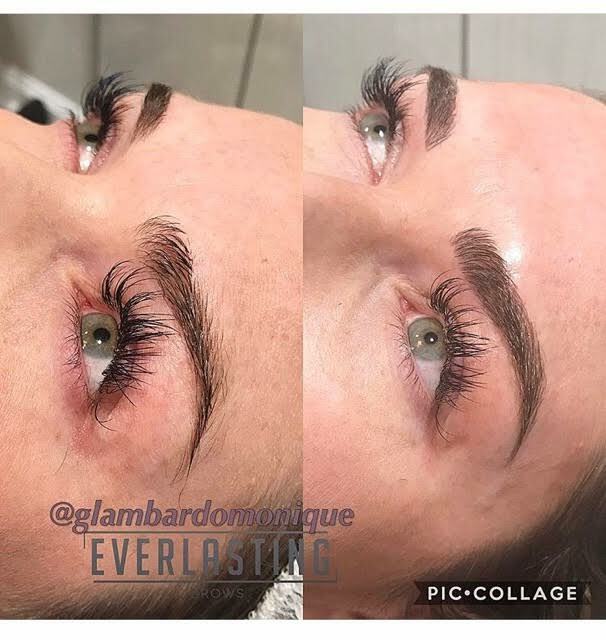 Microblading is a semi-permanent eyebrow enhancement technique for people who want to reshape, redefine or fill in their eyebrows. 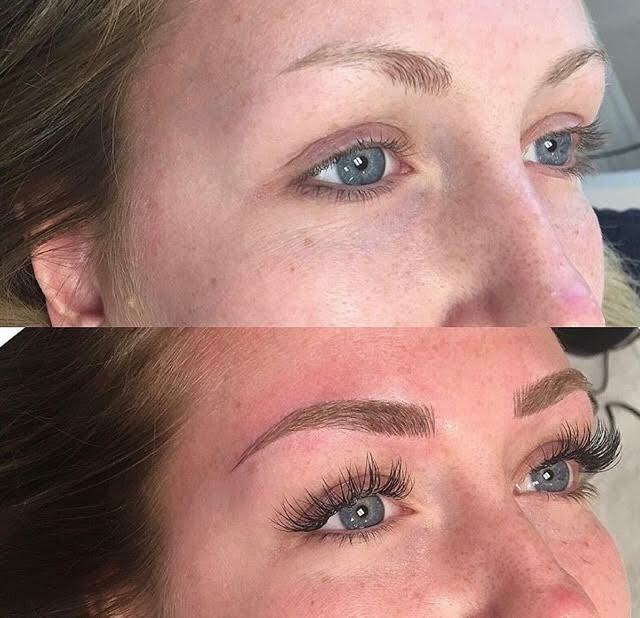 An alternative to permanent tattooing, Microblading is a manual application of inserting pigment into the outer layers of the skin, allowing our artists to imitate individual hair strokes. Through Microblading, our brow artists can create your desired eyebrow shape, fullness and color. The effect of Microblading can last up to 18 months, after which time the pigment fades and your Microblading procedure can be repeated. Microblading allows our brow artists the ability to create a fullness and hair-like effect to your brows. It is a series of hair-like strokes rather than a block of color like traditional tattooed eyebrows. Our brow artists pre-draw your brows, taking into consideration your goals for your eyebrows. We work together to agree upon the overall shape and perfect color before we begin Microblading process. We also will treat your brow area with a topical numbing agent both before and during the Microblading to minimize discomfort. Your eyebrows will be fully healed within 28 days following your Microblading session. However, the visible top layer of your skin heals within 14 days. After your initial appointment, a 6-8 week “perfecting session” allows us to evaluate your healed brows and complete the 2-step process. Your brows will be set for the next year to 18 months! 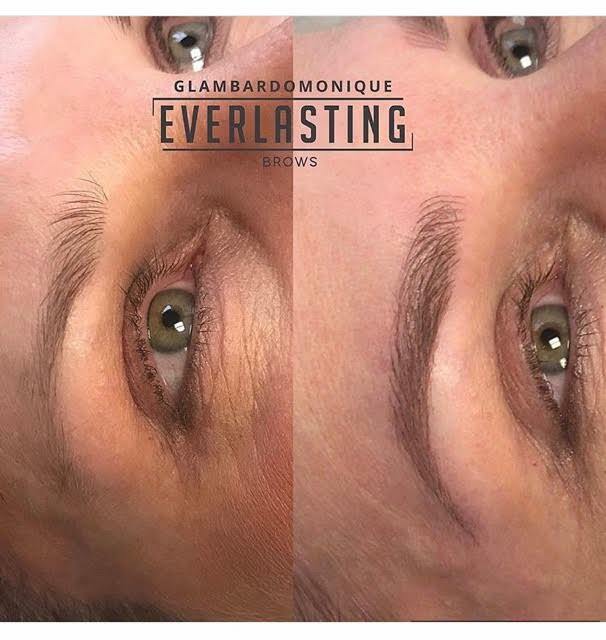 All of our Fluhme artists are certified Everlasting Brow artists – and are the absolute best that Pittsburgh has to offer! What is the Difference between Microblading & Tattooing of my Eyebrows? Microblading only goes through the first 2-3 layers of your epidermis, which is your first layer of skin. However, tattooed eyebrows reach deeper, to the dermis, which is where your hair follicles live. 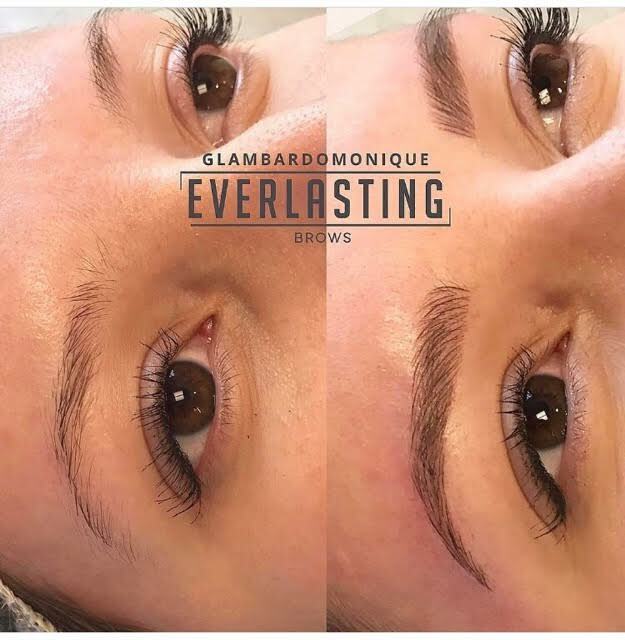 Because tattooing your eyebrows reaches down to your dermis, there’s more of a chance of damaging those follicles and, in turn, losing eyebrow hairs. Also, the pigment used for tattooing goes deeper down so tattooing has a chance of pigment change or feathering. Healing time is longer and more scabbing involved, as well. What else do I need to know about Microblading? You cannot be pregnant or nursing. You must stop use of retinol, and Botox or filler treatments at least 2 weeks ahead of your Microblading appointment. Please avoid drinking alcohol or taking aspirin 48 hours ahead of your appointment. Microblading is not recommended for anyone who has undergone chemo in the past 6 months, has Epilepsy or Hypertension.